Choosing the right flooring type for your home can be far mar complicated than what you expect. It is not only about finding the most stylish material; there are various factors that you need to consider such as costs, moisture resistance, durability, maintenance, et cetera. Then again, after you have decided what type of flooring that you are going to purchase, you will probably get confused again about where to buy the product. Nevertheless, the two names that almost always come up when talking about home remodeling are Lowes and Home Depot. They are two of the biggest and most popular home improvement and appliance stores in the United States. Regardless of whether you like them or not, you probably will still need to buy something from either of these stores anyway. So, is it better for you to go to Lowes or Home Depot for your flooring? Let’s see the comparisons of the two stores below. Before we proceed further about the comparisons between Lowes and Home Depot, let’s make sure first that you already have a good idea about what type of flooring that you need. First of all, you need to consider whether the installation is going to be in a high-moisture area such as the basement or bathroom. If it is, you need flooring that can withstand moisture without any problem, such as concrete, ceramic, or vinyl tiles. If it isn’t, all types of flooring are still viable. Second, you need to consider whether you need an extra-durable floor that can withstand scratches. You need it if you have a pet or children in the home. Floors like ceramic, vinyl, and laminate are reasonably scratch-resistant. Or you can consider carpeting. Third, consider your budget. 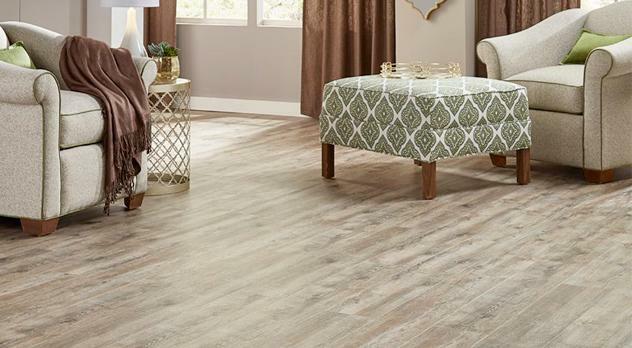 If you want to save as much money as possible, there are more affordable options like low-end laminate flooring and vinyl sheet flooring, available for under $2.00 per square foot. Ceramic and porcelain tiles are actually quite affordable as well, but their installations are labor-intensive. For $2.00 – $5.00 per square foot, there are options like more attractive laminate, higher quality vinyl, also some solid hardwood and engineered wood. Beyond that, you can find options like exotic hardwood, premium laminate, and luxury vinyl. The next thing to consider is whether you want to install the flooring by yourself. If you do, narrow down your choices to vinyl planks and laminate floors. 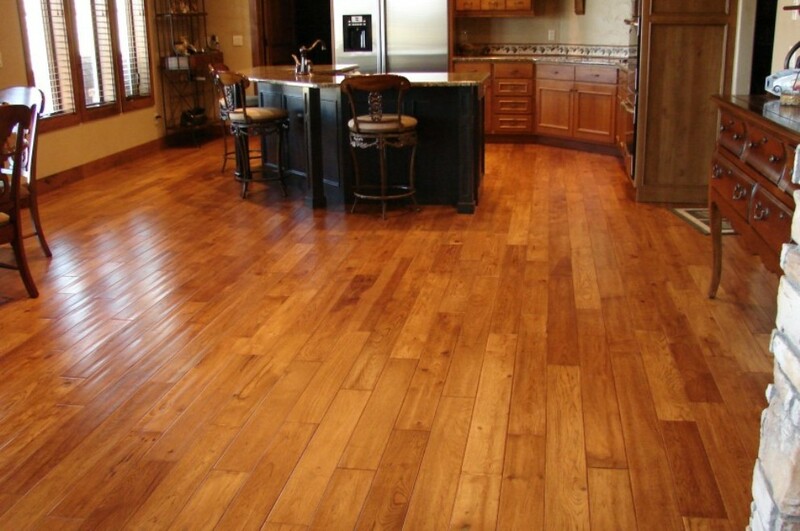 Solid hardwood, engineered wood, and ceramic/porcelain floors are best installed by professionals. Finally, is easy maintenance a high-priority feature? Vinyl floors are the easiest to maintain. Laminate floors are also very easy to maintain, but they require particular cleaning methods. Wood floors require extra efforts for proper maintenance. Now, if you have decided on what type of flooring that you need, let’s see the comparisons between Lowes and Home Depot. If you have ever visited a lumber yard or a supply house, you probably think that the staffs are very knowledgeable. After all, those staffs are mostly experienced. They were once in the trades. Thus, you probably expect both Lowes and Home Depot to have similar staffs as well. However, neither Lowes not Home Depot has that kind of staff. Most of these stores’ employees did not come from the trades, and thus are not very experienced. Even so, according to the experiences of many customers, Home Depot seems to have somewhat more experienced staffs. This may mean that Home Depot has a higher employee retention rate; since the staffs do not have much background, they probably developed their experiences while working in the store. This can be seen from how Home Depot’s employees are far more eager in helping the customers. There have been many positive reviews regarding the customer service. They don’t question much as long as they can help the customer. On the other hand, Lowes seems to have fewer stories regarding the customer service. For such store, the return desk is actually the biggest public relation opportunity. Why? DIYers always have something to return, and the process is often tedious. The return desk is where the process takes place. Nevertheless, both Lowes and Home Depot are quite relaxed about accepting returns. If you used a credit card, you don’t need to show a receipt because your credit card will be recognized when swiped for the return. If you return with the receipt, you can get the cash back. Without the receipt, you will probably get the store credit instead. However, both Lowes’ and Home Depot’s return desks are often understaffed yet overflowing with returned items, making long lines of queuing customers. Comparing the prices is rather difficult and perhaps pointless because the prices constantly readjust. However, make sure to pay attention to each store’s sale weekends because you can find better prices there. Not too long ago, Lowes’ online store looked terrible. It was very unsightly and far from being user-friendly. However, it has improved significantly that the online store is now neat and easy to navigate. Home Depot’s online store has been lightweight, smartly designed, and easy to navigate for a long time. Nevertheless, Lowes now actually has an advantage over Home Depot that it can deliver heavy items such as fence panels and masonry. Home Depot’s online store will not deliver some heavy items. Perhaps the most distinctive difference between Lowes and Home Depot is the exclusive brands available in each store. If you haven’t heard yet, Lowes and Home Depot each sell several brands exclusively, and they don’t sell other brands. In Lowes, you can find Kobalt and Task Force tools which are decent, Utilitech lightings, and Pella new-construction windows. In Home Depot, you can find Behr and Glidden paints, Ryobi and RIDGID tools, and Andersen new-construction windows. If you expect some help from an experienced staff, Home Depot is perhaps a better way to go. If you want to shop online, Home Depot’s website is also more mature and perhaps easier to navigate. However, if you want to shop online and get a delivery, Lowes’s website has a better chance of providing the service. Nevertheless, each store has each own exclusive brands.